I’m Indian, I’m dark, and I don’t care. I love being an Indian, truly I do. With the country’s powerful history, one of a kind culture, and to-die-for food, how could one simply not? But behind India’s beautiful face, there is a growing disease that our society continually fails to recognize- colorism. Colorism is a term coined by author Alice Walker, and is defined as a discrimination against individuals with a dark skin tone among people of the same racial and/or ethnic group. Also know as, internalized racism. Growing up, I’ve always had dark skin. I, personally, didn’t see anything wrong with it and heck to be honest if you ask anyone I knew back then it was no secret (with my plaid cargo shorts, above ear length hair, and buckteeth) that I gave absolutely ZERO flips about how I looked. And to be quite honest, why should I have? I had great friends, saw the glass half full, and went to bed at 9:30 every night, there was nothing in life that could stop me! As I got older I really began to start noticing the things people said about my dark complexion. I remember times when the lights would be turned off in a room and people would say “where’s Aswathi?” or “Aswathi, smile so we can see you!” Or the times relatives that I hadn’t seen in years would greet me with “Oh my goodness, you’ve gotten so dark!” and then suggesting skin bleaching products or face masks for me to use. Yeah you read that right, skin bleaching- it’s actually a thing. I distinctly remember one specific summer night when, after a church basketball practice, some of us girls had gone out to eat. While enjoying our snow cones, a few girls began looking at their arms and began to complain about how their skin had gotten darker over the summer. I can clearly recall one girl saying to another, “Just be thankful you don’t look like Aswathi” followed by another girl saying “Yeah no offense but I’m so happy I don’t look like you.” Everyone laughed, but my blood boiled and my eyes burned, never have I had to bite my tongue so hard. I couldn’t believe that someone had actually told me they were HAPPY because they didn’t look like me. Those eight words have, to this day, hurt me in unexplainable ways. That night when I got home, I ran upstairs, closed my door, sat on the ground, and cried. I cried like I had never cried before. Hours and hours had passed and there were still tears running down my face. I didn’t want to live. The words and comments those girls had said to me, made me hurt in ways I never knew I could hurt before. The things those girls said to me changed the way I saw myself forever. None of it was truly mean-spirited, the girls at my church are very kind people. But as Indians, ever since we were young we are embedded with this false idea and mentality that “to be fair is to be pretty and to be dark is not.” Indian media, only further adds onto this fallacy by whitewashing (literally) celebrities and actors, along with advertisements that promote the usage of skin lightening creams and products. But as a young girl these comments had really brought me down. All those stupid things people had said hurt me and the adverse effects they had on me while I grew up made me see the world, and myself, in a twisted way that I would never wish for someone else. I spent far too many summers inside and out of the sunlight. There were summers where I didn’t go swimming at all. I constantly tried out many face masks and skin bleaching products. I thought something was wrong with me. I edited pictures of myself to make me look lighter, just so I could be pretty. I hated taking pictures at night and avoided wearing bright colors at all costs. There was time when it got so bad, that I hated even looking in the mirror or would start crying while getting ready for school. I would even try to physically scratch the dark from my face. Yeah, it was pretty bad. But then sophomore year came and I joined Debate and wrote a speech (with the help of an awesome coach) about colorism and what I went through, and it made me realize a lot of things. It made me realize that I didn’t need to bleach my skin or hide from the sun anymore. It made me realize that I could wear my favorite color, yellow, and still feel awesome. It made me realize, that after years of hating myself, I truly was beautiful just the way God had made me. To anyone who has been shamed for having a dark complexion, what I have to say to you is this- there is nothing wrong with you. Don’t let others words make you ever think that there is. You don’t have to be fair to be pretty. You are absolutely beautiful just the way you are. We as a society have to stop putting people down for the things that make them unique. Whether it be the way their voice sounds, or the type of clothes they wear, or you guessed it, even how dark their skin is. We should learn to love people for all the things that make them who they are, rather than make them feel like they’re any less because of it. My name is Aswathi Thomas and I can finally say that after 16 years, I love me for me; dark skin and all. 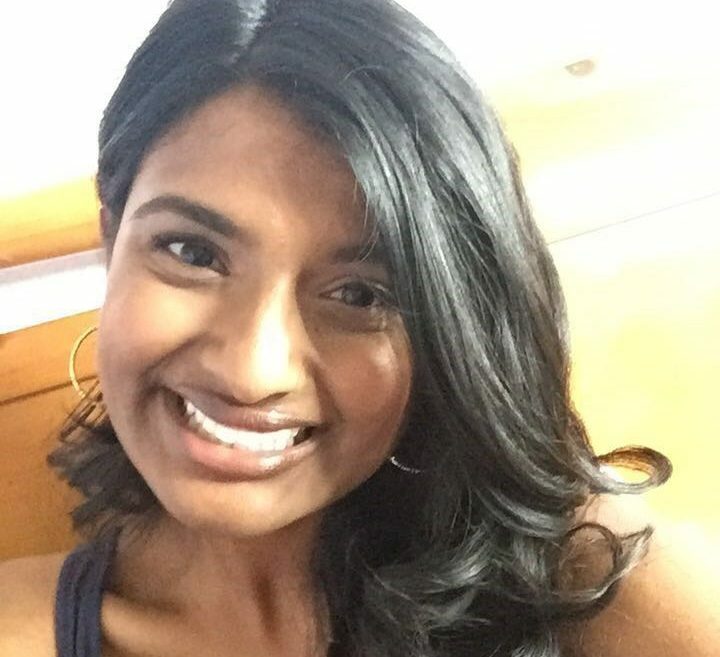 My name is Aswathi Thomas I’m Indian, I’m dark and I absolutely do not care. Next postJokes are funny, Suicide is not. Hi Aswathi, this is such a Beautiful Bold Bomber of an Article to many Indian who feel being fair is the ultimatum and to many young girls out there who try to go out of the way to look fair. I have gone through something similar during school but over the years, i have learnt to love my soul more than my skin. Beautify is just more than the colour and lastly i have always wondered why people with Yellow Skin or White Skin are not bullied and its just the Black that catches the attraction of people and then it struck me Hard…… BLACK IS BEAUTIFUL….. Dark is IN. Hii aswatii..tnxx to uu ..really encouraging. ..
Bt nw..i dnt care about…my colour. Am proud of my self&thank god…. Hi Aswathi, i am so sorry you had to go through all of that. Nevertheless, I am so so proud of the way you have picked yourself and may i say slapped everyone right with this brilliant post of yours. You go, my girl! Loved your article, loved that you are over it and an inspiration to others ! Ashwati. Be proud of your complexion. Dear Aswathi, you have greatly awakened the consciences of people all over the world. I sincerely hope that the people of India have also taken up the cudgels to educate the masses, especially the elite. I know that the New Delhi-based TV channel, NDTV 24 7, has banned advertisements that promote fair beauty products. They should also be congratulated for coming out strongly against this kind of racism that is rife in India. As I have stated previously, racism is rife in India and from observations I have found that most fair-skinned Indians are the most racist people in the world. Even the whites of Europe and the whites in our part of the world are not as racist as Indians of India. I know this from personal experience. During a flight from Singapore to Chennai in the early 1990s, I noticed the fair skinned, sari-clad air hostess talking to a dark-skinned Tamil passenger. Her attitude was very abusive and had no regards for the feelings of the passenger. She did not attend to him in a decent manner. But a few minutes later she was called by another male passenger, who happened to be fair skinned. Her attitude was totally the opposite. She was polite and went the extra mile to help the passenger. Coming from apartheid South Africa, I was immediately struck by this behaviour of the air hostess. I expected the air hostess to be much more polite and decent to all passengers. But alas I did not realise that the British had left their racism in some sections of Indian society. In India itself, I found that you would not find a single dark-skinned journalist or presenter reading the news on television networks. This is prevalent not only in the North but also in the south. The “fair-skinned” mentality is sorely prevalent in all aspects of Indian life. Take, for example, the soapies of north and south Indian television networks. For instance, on SUN TV in Chennai, you will not find a single dark-skinned young woman playing the leading role and other roles as well. You will find exceptions but this is not the norm. This sort of mentality by SUN TV is nauseating because this racism is taking place in a state and country where majority of the people are dark-skinned. What happens to most of the women? Must they only play the part of maids and helpers in the soapies? Some of the fair-skinned Indians who go outside the country and travel to countries where Indians first worked as indentured labourers (slaves) like Malaysia, West Indies and South Africa, they have no respect for the local people of Indian-origin. They only deal with the rich and wealthy. Most of the Indian-origin people are dark skinned. We have fought racism all our lives and now are shocked that people of India are still stuck in this rotten culture of racism or what others call “colourism”. The human rights campaigners in India, like NDTV 24 7, must step up their campaigns against this sort of shocking racism by Indians. In all honesty, you are such a beautiful girl. You should not care about the color of your skin. I hope you don’t spend a second thinking about it ’cause its not worth your time and you are above all these. Be confident and strong, and a role model for other young women. God bless you. God made us and we don’t need to focus on what other said to us about our self. It is very important that what we feel about us. Each and every one must love with himself or herself. when we started loving our self whole universe help us to grow. Stay blessed and Happy. The other day (on Sunday, Feb 28 2016) I was watching the South Indian film industry awards ceremony broadcast on Sun TV and was shocked and amazed that not a single dark skinned film star was sitting among the actors and actresses. I was wondering what happened to all the dark skinned actresses. Do they don’t count or matter. If you watch the SUN TV serials the same situation prevails. Dark skinned actors and actresses are given very little show – except as thugs and gangsters. Sun TV and other TV channels in India are still stuck in the colonial mentality of: “white is superior and lovely”. It seems the brahmins control everything in India, including the TV channels. Their attitude is similar to the whites of South Africa – the majority of whom who still look down upon dark skinned people. This “fair and lovely” mentality must be tackled by the socially-conscious people of India. How can a country neglect the majority of the people who happen to be brown or dark skinned? Lights without any partially. But others are rejected with their Ego’s. Forget about others talking……concentate work. Very very proud of you Aswathi! Thanks for representing the rest of us…&I’m only light brown,lol…but I’ve seen the pain caused to others with these beliefs. Go well. That was such a beautiful article, you made me tear, and experience all you have felt. I applaud you for being so strong. You are so beautiful dear, continue to influence nations with your blogging. New follower!